Latest official driver version released at: January, 01, 2015. Latest site update at: January, 31, 2015. Latest official driver version released at: January, 31, 2014. Latest site update at: January, 31, 2014. Welcome to the board BEARWINDOWS. I think ive heard of this driver before. It was mentioned by jaclaz, I think. Glad to have a developer on the board. My PC has OnBoard Intel 82845GL and until now many trials to have more then 16 colors on the burned CD did not have success. Let's see whether it is possible to put your project into a WinBuilder script! I've visited your page and read your overall work - very impressive..
Hope you keep visiting us - the idea of using an universal video driver seems a very promissing and effective solution for XP/2003 based boot disks, have you also tested under Vista? Peter - thanks for voluntering and good luck scripting! No. 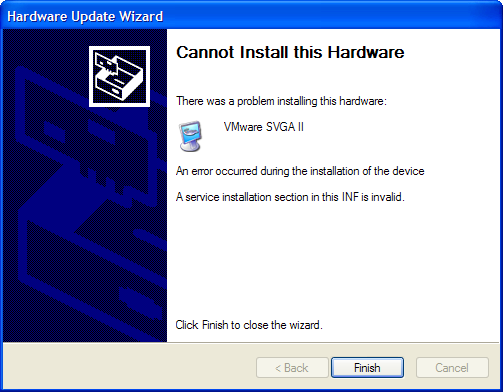 I didn't test it on Vista/7 & don't rewrite my driver for Vista/7 support. My MAINSTREAM OS LINE FOR DEVELOPING VBEMP IS NT3/NT4 systems. XP's support is added by the way. 3) writing universal VBE-based light and simple video-driver. hallo, happy you joined us . together with the Winbuilder projects, winimize, tftp32 and Imdisk. At the time I mailed both Alexander Telyatnikov and BEARWINDOWS to express my appreciation for their great work, inviting them to join us, should they like to. No. I didn't test it on Vista & don't rewrite my driver for Vista support. Well, I was also quite happy with XP on my work machine - Vista is a bit sluggier in resources but since you seem to enjoy learning more about OS's then you should quickly find how to tweak it in a way you like or perhaps show others the way to bring a more efficient set of customizations, who knows? I think I found a friend here! This was also discussed on the 911 forums. I'm tinkering with your new legacy driver here, haven't had time to give it a proper test on real machines, but it works on my virtual computers. ask him, please. it is more convenient to have personal section on this forum. Is there a way to reduce flickering that often happens when you resize a window, etc. and video is not fast (for ex. on a virtual machine that uses VESA driver)? I compared video speed for Virtual PC and same VPC connected via Remote Descktop. Remote Descktop was much faster! Maybe some RDC tech can be used to speedup VESA. Another (crazy?) idea: when driver initializes it can measure speed of video functions and then do some translation from "slow" to "fast" calls. I think, the link points wrong. 1. UPDATED Windows 2000 article page (08.01.2009). Now it is much better organized, since Windows 2000 is my base working system at home/work from year 2004. 2. UPDATED Windows NT 4.0 article page (08.26.2009). VERY good work, expecially on NT 4.00. Reading your post I'm in doubt (or better I'm not in doubt and think that there it is nothing) to include in the current nativeEx UniversalVideoDriver.Script. I think you know that I'm rather lazy and do not like to browse links. Therfore here I decided that there is no reason to attach some new files to the my script. If there is a reason, please for the next time: Give a hint in your post "If wanted, you should update existing scripts with the new version"
BTW: I'm using it SUCCESSFULLY! The really 'sophisticated' things like this one go into the background, because there are some 'important popular' things like "I want to have a yellow desktop background"
Some new detailed stuff about Sun/Innotek VirtualBox and Intel Matrix Storage Manager. 2. UPDATED Windows NT 4.0 article page (08.30.2009). New detailed stuff about UniATA, LAN Adapters and Serial/Parallel Controller compatibility. Uploaded new UniATA version. 3. UPDATED Windows NT 3.51 article page (08.30.2009). New detailed stuff about UniATA, LAN Adapters compatibility. Uploaded new UniATA version. 2. UPDATED Windows NT 4.0, NT 3.51 article pages (10.01.2009). Now SSKIT update method tested with NT 3.51! 1. UPDATED Windows NT 4.0, NT 3.51 article pages (11.01.2009). New UniATA version, synchronized with RosTeam SVN. 2. Finally released 'self-debug' version of VBEMP 9x based on 081021.zip. to simplify its troubleshooting process. No second computer required. Also provided link for generic source code of VBEMP (98DDK link from MDGX's site). 1. UPDATED Windows NT 4.0, NT 3.51 article pages (12.25.2009). More info and links about non-x86 Windows NT (Alpha, MIPS, PPC). Corrected cdimage.exe command line. Added option to remove Internet Explorer and Microsoft Mail from NT4 distro. New "Problem 12: How to control security patches and critical updates installed in Windows NT/2K/XP/2003?" - article about using MBSA 1.x tool in Windows NT/2K/XP environment to control security patches. 2. UPDATED Windows 2000 article page (12.25.2009). Changes in articles related qemu and VirtualPC 2007 SP1 emulators. Updated "Problem 8: Hidden control panel items (covers also Windows XP/2003)" - how to run control panel applet "Users and passwords" from everywhere (also useful for XP/2003). New "Problem #10: I want to install Windows 2000 onto hard drive larger than 137 Gb". 3. UPDATED Linux/BSD article page (12.25.2009). Debian 5 (Lenny) quick installation shortlist. 1. UPDATED Windows NT 4.0 article page. New link for IEEE1394 (i.e. Firewire) driver for NT4 (also for Win9x/2k/XP systems) made by UniBrain. 1. Fixed error in mscab command line. 2. Found that SP6 slipstreaming process break OpenGL Hardware Acceleration in Windows NT4, so I recommend integrating only drivers in this case. 2. Updated article Windows NT 3.51 and OpenGL. 1. New version of driver with VESA/VBE calls support in DOS window/fullscreen. 1. New version of driver with fancy logo and proper 15-bit (R5G5B5) modes support. Also updated VESA/VBE FAQ, Registry settings and Installation note 6. 1. New version of driver with x64/ia64 Windows XP/2003 support. 1. UPDATED Windows NT 3.51 article page (Software Compatibilty List). 2. UPDATED Windows NT 4.00 article page (Software Compatibilty List). Problem 15: I want to use most recent software in Windows 2000. 2. UPDATED Windows NT 3.51 article page (Recent drivers: (E)IDE/(S)ATA storage controllers). 3. UPDATED Windows NT 4.00 article page (Recent drivers: (E)IDE/(S)ATA storage controllers). 1. Commercial use (paid) now possible. 2. In Additional Information posted some info about 3D DX/GL acceleration workarounds for VBEMP, as many people asked for it. 1. More correct software information about WinRAR and pMetro support. The driver can not be installed in WinXP x64 - an error appears: A service installation section in this INF is invalid.